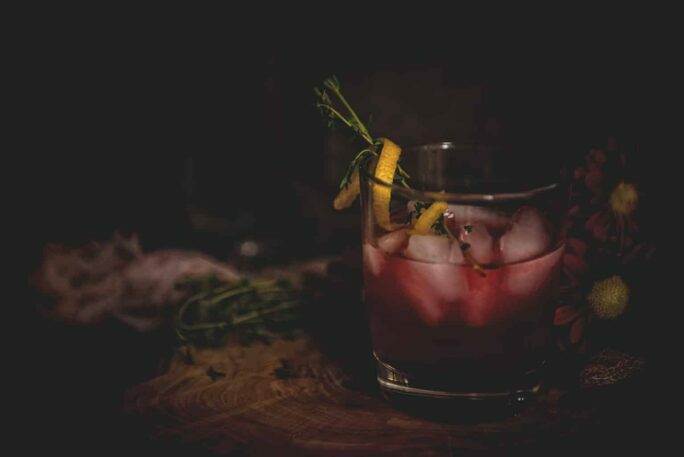 A fresh mix of Idaho’s signature huckleberry plant blended three ways with local vodka and a splash of limoncello. 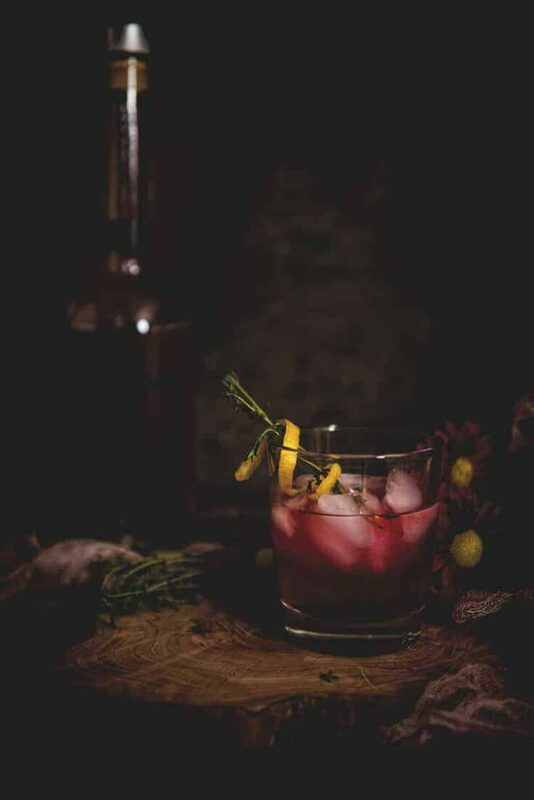 The Huckleberry Lemonade Cocktail is a fun twist to celebrate a state. Now, what would you name it? I was sent on the 2016 Idaho Potato Harvest Tour by the Idaho Potato Commission, however, thoughts and opinions are my own. This cocktail is my ode to Idaho. A mix of tart huckleberry lemonade, sweet huckleberry jam, potato vodka (made from Idaho potatoes of course) and a sweet topping of limoncello. All of the ingredients I purchased while in Idaho and smuggled home like some Breaking Bad moment knowing I was going to be pairing their flavors just for this. The problem is, I can’t come up with a name for it. I have been leaning towards Kip Dynomite, or Albert M. Pine, perhaps even something a little more obvious. But combining huckleberry potato vodka lemonade into a title is leaving me a little pithy. I would love to know what you would call this cocktail – my personal tribute to Idaho. Chime in and let me know! We don’t get huckleberries where I live (at least, not on the shelves at the market), and being from the North East, with our cities dotting every exit off the interstate, we don’t get the impressive, sprawling potato fields of potatoes. 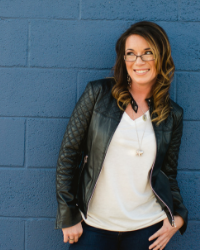 Our soil doesn’t have the same compounds or feel as the rich volcanic soils of Idaho and the moment you step off the plane that is all very clear. Have you ever seen the sunset over Idaho? If you are anything like me, you wouldn’t have imagined it to be on your top 10 bucket list for dramatic sunsets. All Idaho is known for is well, potatoes. And lucky for me, that’s exactly why I was there. The Idaho Potato Commission invited a couple dozen bloggers from all over the world to join them on their annual harvest tour. An effort to expose the potato harvest, the industry, and send home a little more knowledge about this versatile crop. Admittedly, I was ignorant. It’s the potato. Had I taken it’s existence for granted? I have walked through the markets of Peru and seen their varieties in person, some several thousand to behold. I know that Idaho Potatoes are a personal family favorite, and a staple at every big meal as a mashed side dish, a scalloped creation or even a baked vessel to waiting to be adorned with a variety of toppings. What I hadn’t realized is just how big the Idaho potato industry is. Just how much impact one harvest has on our need to feed America. Wheres the most amazing sunset you’ve ever seen? Sunset over the miles of farm land of Idaho made for some of the most spectacular hues and colors I have ever seen. Enjoying a beautiful crisp day to get back in my groove at home and look through some of the images of my recent adventures. One of those moments where I get to flip through in awe of where this crazy off the beaten path has taken me! Seeing the first field, was admittedly an introduction to the scale of things. dry dust kicked up on a windy afternoon with ragged browning vines left behind in baking in the sun as the giant farming machine rolled past, spewing thousands of potatoes into a semi truck following patiently alongside. It filled, the truck pulled off, and seamlessly another took its place. The harvesting continued. For each vine you see poking up through the sun, it is feeding several potatoes underground. With each plant producing a handful of vegetables, even one long row is a hearty bounty. The trucks move with the efficiency of an organized army, loading and dropping off their bounty. Watching the job of sorting and storing the potatoes in the “cellars”, a large half dome designed to store the potatoes so they can be sorted and distributed, really helped to put things into perspective. It held several truckloads of potatoes. Imagine looking up at the sand dunes of the desert, except this particular peak was made from potatoes. It was one of 17 holding sheds at just this one processing plant with trucks lining up like toy soldiers to deliver. Each potato is run through the processing plant to be sorted for industry; some go to restaurants, some packed for the consumer, and a literal ton (times several million) are sent off to other potato industry. From potato starch, processing for boxed potato products (like dehydrated potatoes you make quick and easy on a weeknight), or to the multimillion dollar industry that is fast foods, like French fries and tots for companies like McDonalds. Walking through each of these processes from start to finish was an education in efficiency, volume, and even chemistry as the best care is taken in packaging or creating these products and shipping them out. From farm to farm through Idaho on the #idpotatoharvest16. It’s interesting to learn so much about everything that goes into everything that is the industry of potatoes, from planting to garvesting, storing and processing. It’s such a humble food, but really seeing how large an industry it is and how vital a food it is to American families is inspiring. It all comes from the dirt of Idaho fields. The fertile lands will be harvest and re-harvested a few seasons over as the nutrients in the ground allows and the farmers see fit for their land. Each time, hopefully with good weather and conditions, producing an abundant bounty of potatoes to continue to fuel our global world. The products created from these potatoes, besides the classic side dishes you can whip up with a 5-pound bag, sit on the shelves across the globe in quick and easy options for people. As the bus rolled from Idaho Falls on towards Teton springs, and the peaks of the mountains started to appear through the cloud cover in the distance, I was humbled by the landscape. A bright fleck of red here and there, like a lighthouse, in a sea of farmland signaling a stopping point. Miles and miles of rolling were being devoted to creating crops. Hours of labor, thousands of jobs, millions of mouths to feed. The enormity of the industry has a way of growing on you then. And the Idaho potato stands at the top of that pillar with its hard working team of people to support it. Have you ever seen the sun set over Idaho? It wasn’t on my bucket list of places either. But as the sun started to hit it’s peak hour, as we joined the Huff family, three generations, on their farm where they arranged a beautiful home cooked meal in their hanger for strangers. I snuck away from the rows of great conversation, fast friends, and wonderful food to step outside and watch the gold light trickle through the buttes in the distance down along their fields. This family had built something of this land, something so much bigger than themselves. An important part of our industry, our food culture, and feeding the millions worldwide. They, and many like them, pray for the right weather and good crops, not just to make the next paycheck, but to deliver on something bigger. Don’t Stop with this one! 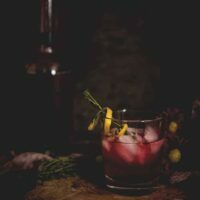 There is a lot more cocktail (and even some huckleberry) love on the site worth checking out! 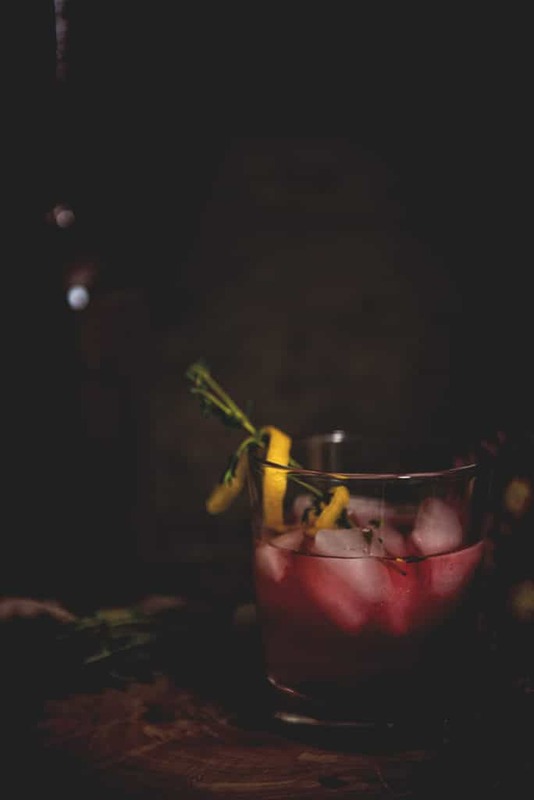 If you’ve tried my Huckleberry Lemonade Cocktail recipe or any other recipe on passthesushi.com please don’t forget to rate the recipe and let me know where you found it in the comments below, I love hearing from you! You can also follow along for more good eats and travel tips on Instagram @passthesushi & @girlcarnivore, Twitter & Facebook. 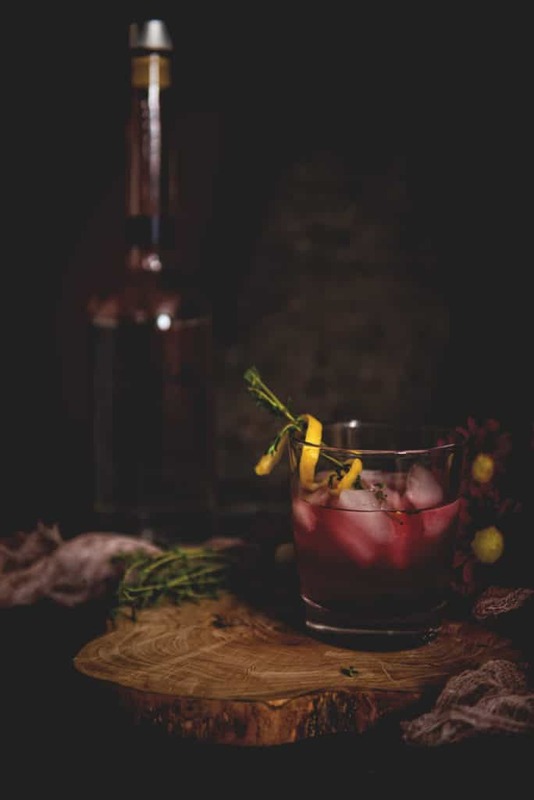 A fresh mix of Idaho's signature huckleberry plant blended three ways with local vodka and a splash of limoncello. The Huckleberry Lemonade Cocktail is a fun twist to celebrate a state. Now, what would you name it? In a cocktail shaker, combine the vodka, lemonade, and limoncello over ice and shake to cool. Add the huckleberry jam to a highball glass with ice. Strain in the cocktail over the fresh ice and swirl with a spoon to mix. Garnish with a lemon twist and fresh thyme. Yum! Looks delish! Can’t wait to try it! Pinned and Shared!!! this is beautiful! Call it a Huckleberry Pucker!